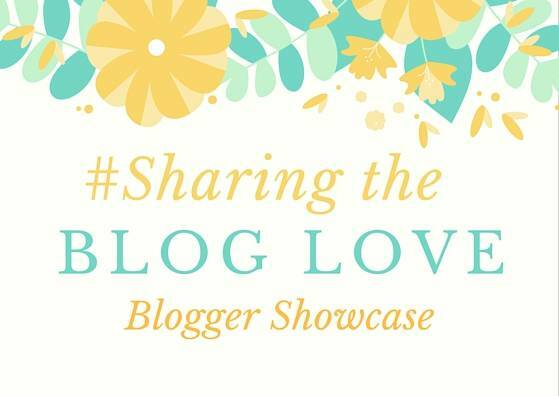 Welcome to week #22 of SharingtheBlogLove. Katy and I are showcasing our favourite posts from last week’s linky. It was a great week and it was difficult to get it down to four posts. Back in the summer Alice turned four and Holly turned two, it felt like a real milestone for us as a family. When I had Holly everyone told me it would get easier when they reached this age and at the time I thought, really I have to wait until then! But not only did it fly by, it was also true. When I read this post, The Light at the End of the Baby Tunnel, I could relate to it. All the things that are no longer in our lives and all the things that make life that bit easier. Holly being able to talk has been one of the biggest things, as there is no frustration anymore. Alice loves to makes things and it is when she is at her happiest. I am also looking for new crafting ideas and I loved this idea, Do you wanna build a snowman?, I mean who wouldn’t want to. I think what I love the most is that you use marshmallows, so you can snack and craft at the same time. Genius idea! If you are looking for Christmas Craft ideas for your little ones, head over and take a look. I just adore the sibling relationship. I could watch my girls together for hours and catch those little moments that melt my heart. The times that Holly says ‘I missed you Alice’, after school and the times when Alice comforts Holly when she hurts herself. They are always there for each other. Often going to each other for comfort instead of me. I loved reading this post, An Undeniable Bond – The Joy Of Siblings. Mia sounds very similar to Alice and is a little mother hen. We are so incredibly lucky to have a ringside seat to watch their relationship grow and grow. I love stationery and one of my favourite shops is Smiggle. We don’t have one in our town, so when I see one I also pop in. It’s such a colourful shop, with lots to offer. I loved Amie’s, My Smiggle Wishlist, who wouldn’t want an ice cream coin purse or a strawberry milkshake scented pencil case. If you love stationery, you don’t want to miss out on this one! If you missed any of these last week, why not pop over now and give them some blog love, maybe a comment or a share. Thanks for featuring us on this weeks showcase post! We had great fun making those snowmen! (Was a bit messy though with the marshmallows!) We’ve seen the Smiggle store in town but never been in, might now after Mum’s the Word post! Thank you for the feature Laura! This has perked up my Thursday! I’ve only just discovered Smiggle as there’s not one near us. OMG, I’m never taking N into one again. He wanted everything! I love going through your showcase posts and finding out great posts that I missed last week. A really great linky to be a part of – thanks! What a brilliant round up. I loved the siblings post so much. I think sometimes children just know when someone needs them and it helps them to develop that extra special bond. I recently did a review of Smiggle after one opened in Edinburgh. The kids were in heaven! Great round up. I’m definitely feeling the light at the end of the baby tunnel, I’m very glad all those middle of the night feeds are behind me!